Forbes magazine recently published “Europe’s Most Idyllic Places to Live” with a raking of five favorite simple, unspoiled and near-heavenly locations to take up residence in Europe according to a panel of experts in the fields of travel and relocation. 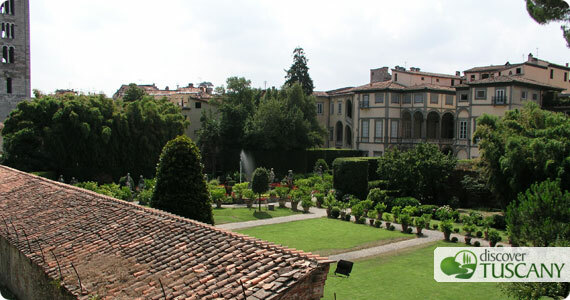 Lucca came in second place, a charming medieval city in Tuscany, just after the Greek island of Patmos. Lucca was chosen, according to Forbes, because while it has the charm of other Tuscan towns such as Pisa, it lacks the crowds and confusion. The beautiful, walled medieval city has an enviable geographic location just 45 miles from Florence, about an hour from the Tuscan beaches in one direction and an hour from skiing in Abetone in the other. In fourth place is another small Tuscan town: Pietrasanta. This small town is near the border between Tuscany and Liguria and is without a doubt not as well-known as Lucca but exactly for this reason more pleasurable. “It has great shopping, markets and excellent Ligurian food–pesto and focaccia to die for”, according to Amber Medkiff, a travel director of agency Travcoa consulted by the magazine. Definitely a great result for Tuscany, a dream region in which to live in!